What Makes a Successful Food PR Pitch? Terry (Culinest) with Michelle Buffardi (Scripps Networks Interactive). Properly pitching your food product, business or story is key to getting great press coverage. 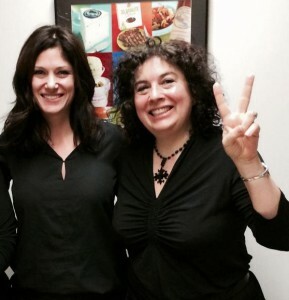 Michelle Buffardi (Scripps Networks Interactive – The Food Network and Cooking Channel) and Nina Elder (Everyday with Rachael Ray) shared great advice at my recent Pitch Perfect PR class for the Specialty Food Association. Every medium has its own tone; understand how each is positioned and customize. Do your due diligence: know names, titles, what targeted media covers and its voice. Don’t give up if you think your product is really right for a publication. Don’t assume you have the perfect solution for a publication – but try to be a solution to editors’ problems. Start pitches with the most important information: what are the 3 things the audience has to know? Pyramid structure for pitches – you have 12 seconds and 2 lines to catch attention. Want more actionable insights for your food business? Check out Culinest’s information-packed classes. For inspiration in your inbox – please sign up for our newsletter! How Should You Price Your Food Product? What does Mimi Sheraton See as the Next Big Food Trends? Social Entrepreneurship – What’s Your Why? What Are the Best Channels for Your Food Product? Get actionable food business insights and news in your inbox with the Culinest newsletter.